Warnings abound over life-shortening dangers: too much stress, too little sleep, too much TV watching. Thank goodness current research refutes claims that severe calorie restriction prolongs life. In keeping with a slower, more relaxed pace over the holiday season, here is a new version of an old favorite. 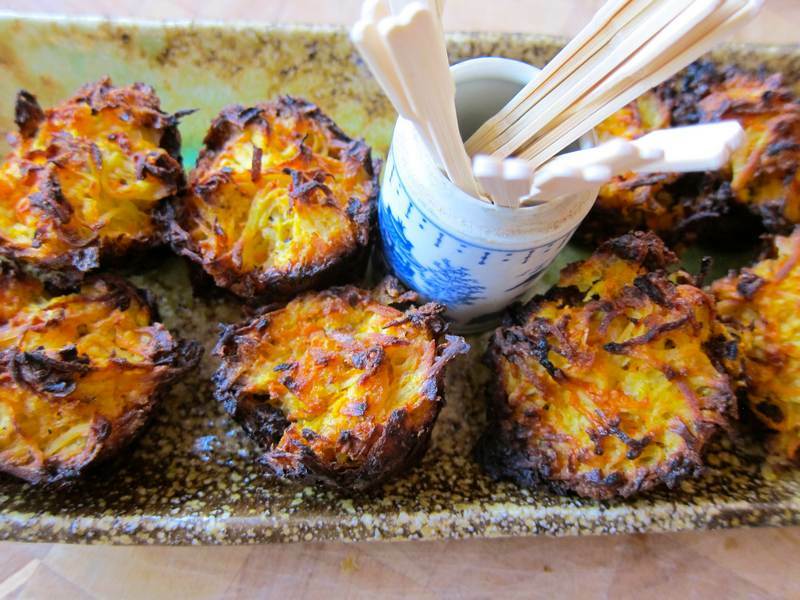 You may have tasted the crispy goodness of my Auntie Miriam’s Potato Kugel; now try these kugelettes – delightful bite-sized portions baked in mini-muffin trays. Bake for about 40 minutes, then turn off the heat, and leave them in the oven for an additional 10 minutes to set. Serve hot. Can be frozen. This tempting appetizer or side dish serves 12. Check out today’s opening at James Fuentes Gallery. The Intouchables is a wonderful film about friendship and caring. Silver Linings Playbook touches oh-so-many great movie chords. Here are 8 surprising ways to de-stress your brain. The next Jittery Cook contest ends February 14 – Valentines Day! Send your favorite recipes to [email protected]. The prize is a sur-prize. This recipe looks great, I will definitely try it! Love your Links to a Longer Life – especially no. 4! I was thinking of you Alyce when I discovered #4. They look good! I really love carrots and potatoes! I have all the needed ingredients, except for potatoes which we boiled and consumed the other day. 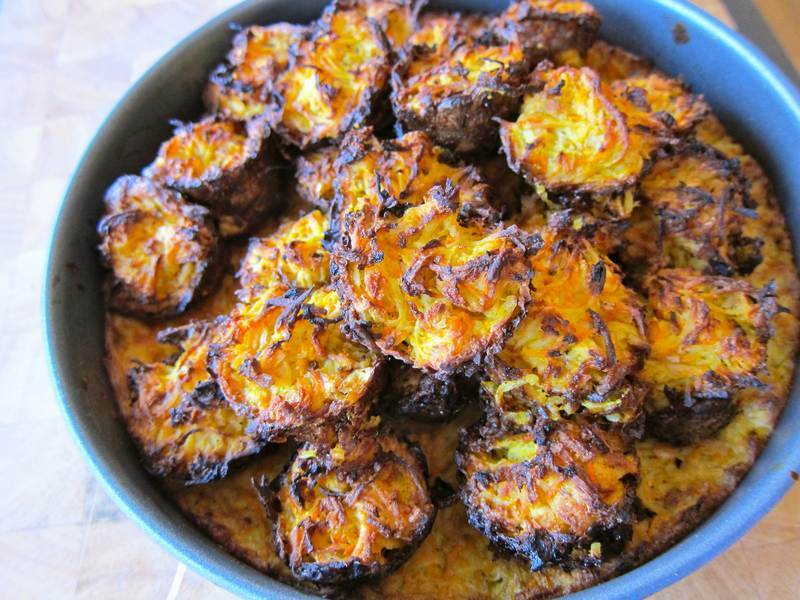 I will be purchasing some potatoes today and I will definitely try this recipe today!